5643, Haverthwaite, 23 August 2005. 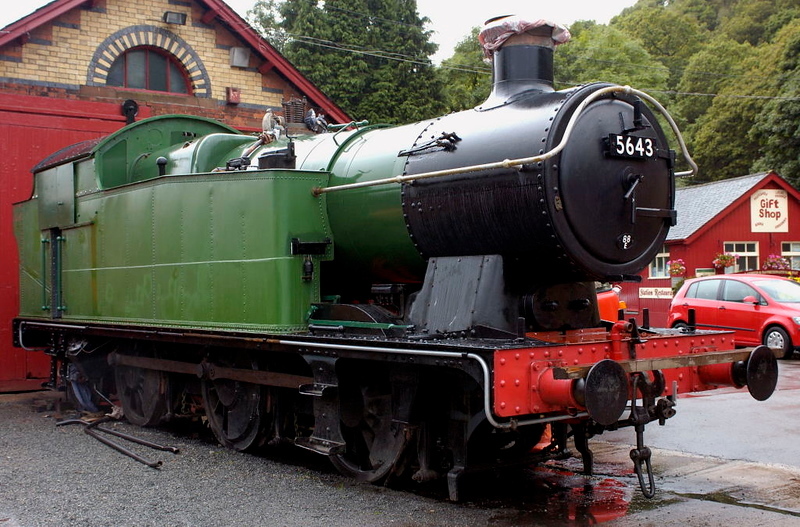 5643 was built at Swindon in 1925 and worked until withdrawal in 1963, when it moved to Dai Woodham's Barry scrapyard, thereby ensuring its survival. It left Barry in 1971 and was at Carnforth Steamtown until 1989 when it moved to Haverthwaite and the Furness Rly Trust. It is seen approaching the end of its restoration by the Trust.